At the press conference following their summit meeting in Helsinki, Russian President Vladimir Putin and American President Donald Trump discussed the possibility of resolving potential criminal cases involving citizens of the two countries by permitting interrogators from Washington and Moscow to participate in joint questioning of the individuals named in indictments prepared by the respective judiciaries. The predictable response by the American nomenklatura was that it was a horrible idea as it would potentially require U.S. officials to answer questions from Russians about their activities. Putin argued, not unreasonably, that if Washington wants to extradite and talk to any of the twelve recently indicted GRU officers the Justice Department has named then reciprocity is in order for Americans and other identified individuals who are wanted by the Russian authorities for illegal activity while in Russia. And if Russian officials are fair game, so are American officials. A prime target for such an interrogation would be President Barack Obama’s Ambassador to Russia Michael McFaul, who was widely criticized while in Moscow for being on an apparent mission to cultivate ties with the Russian political opposition and other “pro-democracy” groups. But McFaul was not specifically identified in the press conference, though Russian prosecutors have asked him to answer questions related to the ongoing investigation of another leading critic, Bill Browder, who was named by Putin during the question and answer session. Browder is a major hedge fund figure who, inter alia, is an American by birth. He renounced his U.S. citizenship in 1997 in exchange for British citizenship to avoid paying federal taxes on his worldwide income. Bill Browder is what used to be referred to as an oligarch, having set up shop in 1999 as Hermitage Capital Management Fund, a hedge fund registered in tax havens Guernsey and the Cayman Islands. It focused on “investing” in Russia, taking advantage initially of the loans-for-shares scheme under Russia’s drunkard President Boris Yeltsin, and then continuing to profit greatly during the early years of Vladimir Putin. By 2005 Hermitage was the largest foreign investor in Russia. Yeltsin had won a fraudulent election in 1996 supported by the oligarch-controlled media and by President Bill Clinton, who secured a $20.2 billion IMF loan that enabled him to buy support. Today we would refer to Clinton’s action as “interference in the 1996 election,” but at that time a helpless and bankrupt Russia was not well placed to object to what was being done to it. Yeltsin proved keen to follow oligarchical advice regarding how to strip the former Soviet Union of its vast state-owned assets. Browder’s Hermitage Investments profited hugely from the commodities deals that were struck at that time. Browder and his apologists portray him as an honest and honorable Western businessman attempting to operate in a corrupt Russian business world. Nevertheless, the loans-for-shares scheme that made him his initial fortune has been correctly characterized as the epitome of corruption by all parties involved, an arrangement whereby foreign investors worked with local oligarchs to strip the former Soviet economy of its assets paying pennies on each dollar of value. Along the way, Browder was reportedly involved in money laundering, making false representations on official documents and bribery. 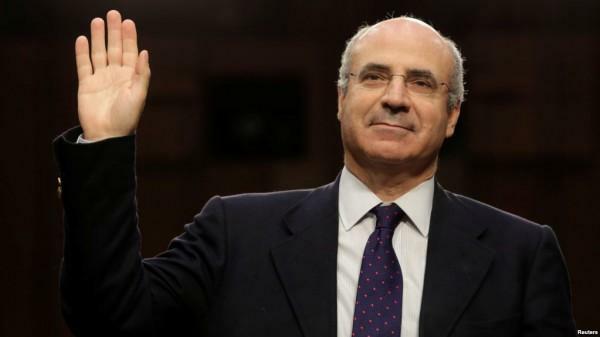 Browder was eventually charged by the Russian authorities for fraud and tax evasion. He was banned from re-entering Russia in 2005 and began to withdraw his assets from the country, but three companies controlled by Hermitage were eventually seized by the authorities. Browder himself was convicted of tax evasion in absentia in 2013 and sentenced to nine years in prison. Browder, who refers to himself as Putin’s “public enemy #1,” has notably been able to sell his tale of innocence to leading American politicians like Senators John McCain, Lindsay Graham, Ben Cardin and ex-Senator Joe Lieberman, all of whom are always receptive when criticizing Russia, as well as to a number of European parliamentarians and media outlets. In the wake of the Helsinki press conference he has, for example, claimed that Putin named him personally because he is a threat to continue to expose the crimes of the mafia that he claims is currently running Russia, but there is, inevitably, another less discussed alternative view of his self-serving narrative. Central to the tale of what Browder really represents is the Magnitsky Act, which the U.S. Congress passed into law to sanction individual Kremlin officials for their treatment of alleged whistleblower Sergei Magnitsky, arrested and imprisoned in Russia. Browder has sold a narrative which basically says that he and his “lawyer” Sergei Magnitsky uncovered massive tax fraud and, when they attempted to report it, were punished by a corrupt police force and magistracy, which had actually stolen the money. Magnitsky was arrested and died in prison, allegedly murdered by the police to silence him. The Magnitsky case is of particular importance because both the European Union and the United States have initiated sanctions against the identified Russian officials who were allegedly involved. In the Magnitsky Act, sponsored by Russia-phobic Senator Ben Cardin and signed by President Barack Obama in 2012, the U.S. asserted its willingness to punish foreign governments for human rights abuses. The Act, initially limited to Russia, has now been expanded by virtue of 2016’s Global Magnitsky Act, which enabled U.S. sanctions worldwide. Russia reacted angrily to the first iteration of the Act, noting that the actions taken by its government internally, notably the operation of its judiciary, were being subjected to outside interference, while other judicial authorities also questioned Washington’s claimed right to respond to criminal acts committed outside the United States. Moscow reciprocated with sanctions against U.S. officials as well as by increasing pressure on foreign non-governmental pro-democracy groups operating in Russia. Some have referred to the Magnitsky Act as the start of the new Cold War. The contrary narrative to that provided by Browder concedes that there was indeed a huge fraud related to as much as $230 million in unpaid Russian taxes on an estimated $1.5 billion of income, but that it was not carried out by corrupt officials. Instead, it was deliberately ordered and engineered by Browder with Magnitsky, who was actually an accountant, personally developing and implementing the scheme, using multiple companies and tax avoidance schemes to carry out the deception. Magnitsky, who was on cardiac medication, was indeed arrested and convicted, but he, according to his own family, reportedly died due to his heart condition, possibly exacerbated by negligent authorities who failed to medicate him adequately when he became ill. The two competing Browder narratives have been explored in some detail by a Russian documentary film maker Andrei Nekrasov, an outspoken anti-Putin activist, who was actually initially engaged by Browder to do the film. An affable Browder appears extensively in the beginning describing his career and the events surrounding Magnitsky. As Nekrasov worked on the documentary, he discovered that the Browder supported narrative was full of contradictions, omissions and fabrication of evidence. By the time he finished, he realized that the more accurate account of what had occurred with Browder and Magnitsky had been that provided by the Russian authorities. When Nekrasov prepared to air his work “The Magnitsky Act: Behind the Scenes,” he inevitably found himself confronted by billionaire Browder and a battery of lawyers, who together blocked the showing of the film in Europe and the United States. Anyone subsequently attempting to promote the documentary has been immediately confronted with 300 plus pages of supporting documents accompanying a letter threatening a lawsuit if the film were to be shown to the public. A single viewing of “The Magnitsky Act” in Washington in June 2016 turned into a riot when Browder supporters used tickets given to Congressional staffers to disrupt the proceedings. At a subsequent hearing before Congress, where he was featured as an expert witness on Russian corruption before a fawning Senate Judiciary Committee, Bill Browder suggested that those who had challenged his narrative and arranged the film’s viewing in Washington should be prosecuted under the Foreign Agents Registration Act of 1938 (FARA), which includes penalties of up to five years in prison. Because of the pressure from Browder, there has never been a second public showing of “The Magnitsky Act” but it is possible to see it online at this site. Bill Browder, who benefited enormously from Russian corruption, has expertly repackaged himself as a paragon among businessmen, endearing himself to the Russia-haters in Washington and the media. Curiously, however, he has proven reluctant to testify in cases regarding his own business dealings. He has, for example, repeatedly run away, literally, from attempts to subpoena him so he would have to testify under oath. When one gets past all of his bluster and posturing, by one significant metric Bill Browder might well be accounted the most dangerous man in the world. Driven by extreme hatred of Putin and of Russia, he personally and his Magnitsky Myth have together done more to launch and sustain a dangerous new Cold War between a nuclear armed United States and a nuclear armed Russia. Blind to what he has accomplished, he continues to pontificate about how Putin is out to get him when instead he is the crook who quite likely stole $230 million dollars and should be facing the consequences. That the U.S. media and Congress appear to be entranced by Browder and dismissive of Moscow’s charges against him is symptomatic of just how far the Russia-phobia in the West has robbed people of their ability to see what is right in front of them. To suggest that what is taking place driven by Browder and his friends in high places could well lead to tragedy for all of us would be an understatement.